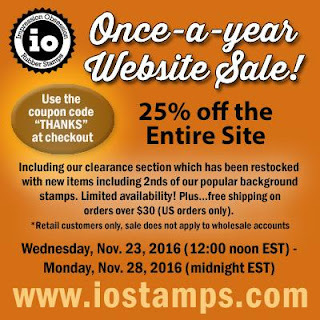 I know some of you have been anxiously waiting for the Impression Obsession sale info - I remember making lists and waiting to pounce as soon as the sale was posted! Have fun! Note the times and codes below!